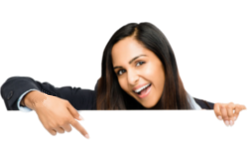 Data from CorelDRAW via EPS/AI. 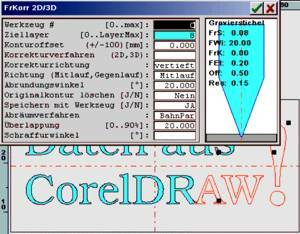 Work specification for the export of vector data from CorelDRAW, import into CAD, cutter offset calculation and export of the milling data to the machine. – Export filter EPS Adobe Illustrator AI. – Contours without filling (also not white). – Outline as hairline (thinnest line). – Text as curves (vectorised). Import of the EPS/AI data. For the import of the EPS/AI data select File . Import . EPS *.EPS/AI. Using Layout . Limits . Graphics max. set the limits automatically to the extent of the import data. For the graphic used in the example it can be assumed that all contours are closed. Nevertheless, the function Join tracks can be carried out for assurance. 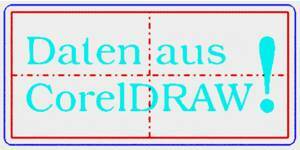 Precisely for data from CorelDRAW it is important that the graphic is checked for crossovers. For this select Mark. Intersections. 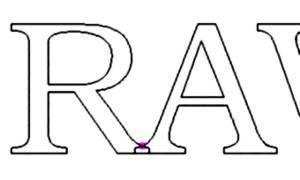 The program shows a crossover between R and A. If the paths are to be corrected at the same time then the error must be edited out. Alternatively, for a recessed engraving the letters can be calculated individually. As a result of the reported error the navigator must, with End, leave the Navigator and the calculation started individually. 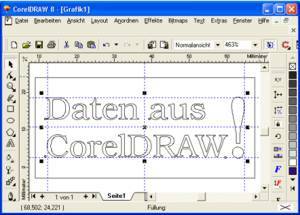 First, the area ‘Data from CorelDraw’ is marked and MillCorr2D selected. In the second calculation step the symbol ‘AW!’ is selected and calculated. The outer edge of the label can be processed in a third step using a cylindrical cutter. For the export of the milling data select Direct mill. In the layer selection the Layer #0 (with graphic data) is switched to white (inactive) by clicking-on. In the export filter selection select, for example, DIN/ISO and the dialect (FILTER:) WinPC-NC / PC-NC. Note: For PC-NC the core image format for arcs (ABSOLUTE/relative) must be set the same in both programs (under Parameter). The start position for X and Y can be switched off with -9999.99. In this case the working off begins with the 1st work position. In the case presented, first the engraving and thereafter the cutting-out is worked off. The program contains a tool exchange. If your machine possesses no possibility for a tool exchange, then both milling layers #8 and #9 must be exported individually.